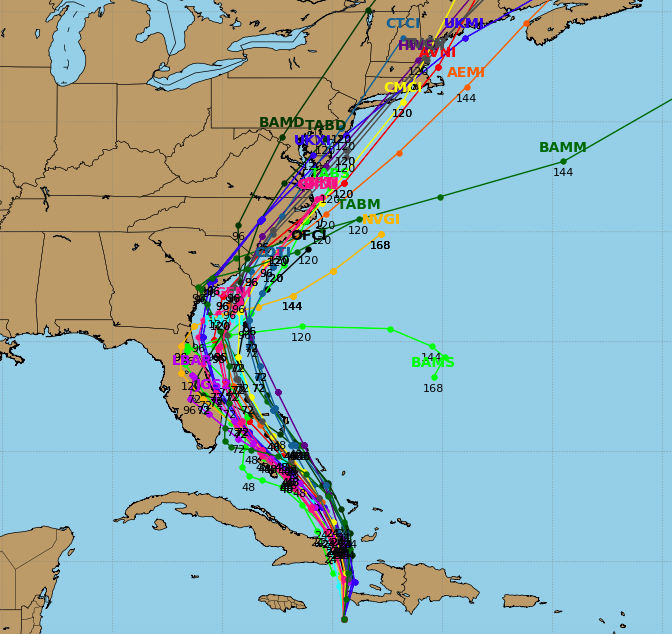 Shore Keeping an Eye on Hurricane Matthew As Models Suggest it Could Affect N.J.
Hurricane forecasts are notoriously tricky, and can often change drastically in a matter of hours, but Shore residents began paying closer attention to Hurricane Matthew during the day Monday and overnight Tuesday as forecasting models suggested the storm could move close to New Jersey by this Sunday or Monday. Matthew is currently located near Haiti, with a forecast track predicting the storm will travel up the Florida coast as a major hurricane on Thursday and Friday. The storm is now packing winds of 145 m.p.h. The official track from the National Hurricane Center, which extends five days, shows the storm traveling up the eastern seaboard, making landfall in southern North Carolina on Saturday before jutting back out to see and hovering off the New Jersey coast. Officials in Florida and North Carolina have already declared states of emergency. Reconcile yourself to the reality that Hurricane #Matthew may impact the East Coast. Embrace the uncertainty, don't fight it. Szatkowski called on New Jersey residents to speak with family and friends about hurricane plans should the storm impact the state. Dan Skeldon, a meteorologist for The Press of Atlantic City, said forecast models have provided a few different options for the storm – including several which would take it out to sea – though the models began shifting closer to the coast Monday night.